#1- I love that we are just plain weird. We passed ‘quirky’ long ago. As my Brookie loves to say, “Who wants to be normal anyways? That sounds so boring” That’s right, sister. Rock on. #2- I love that my girls are just realizing that not all moms start shaving their daughters’ legs at the age of six. Umm, you’re Greek. Knee socks are no longer in fashion… and your welcome. #4- I love that my children have limited me to one PLM (practical learning moment) a day. They complain that I make a moral lesson out of everything. I don’t know what they are talking about, a bad driver who swerves over two lanes on the freeway just to make his exit, causing all the other drivers to slam on their brakes, is a perfect visual of what happens when you don’t plan head for major transitions in your life. I tried to negotiate up to two. I was denied. #5- I love that we have our messy days, where we are cranky, not fun to be around and down-right nasty. If we didn’t have those, we wouldn’t appreciate the insanely amazing wonderful days as much as we do. I guess the goal is to have more good days than bad. Go easy on yourselves, sisters. God knew exactly what you would do and what you would not do and He still chose you to be their mom! #6- I love that we communicate. This is that thing where you put down your electronics, actually look at each other and move your lips. It’s a rare thing, but nonetheless, I love it. 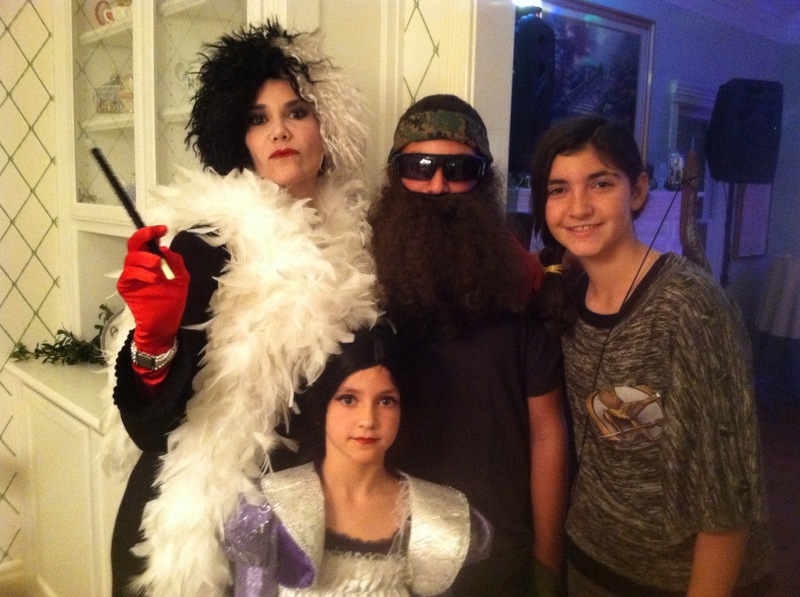 #7-I love that my kids love to dress up as much as I do. Nope, that is not Halloween. That would be my 40th birthday party. #9- I love that we have had our own secret code for almost 8 years. They can see me from across a room. I tap the tip of my nose once, the side of my nose twice and then I point to them. That is code for “I love you no matter what.” And then they send it back. Sigh. A little slice of heaven. #10- I love that we talk about God as if he is real. We talk about doubts. We talk about what he’s like. We talk about our mud and we talk about how to be kind to ourselves and how to love others.